Certified Employee-Owned® - Miklos Systems, Inc.
Miklos Systems, Inc. (MSI) started our employee ownership journey in 2006 in order to maintain the culture and values Betsie had made the cornerstone of the company. Ten years later we became 100% employee owned. We are proud to announce that earlier this year we became Certified Employee-Owned®. Certified Employee-Owned® ensures that MSI has met rigorous standards of significant and broad-based employee ownership. In fact, just 0.5% of companies are eligible for this designation. It means that not only are we sharing the ownership of the company with all of our employees, but that we practice our employee-ownership model. This approach provides open-book reporting and regular discussions of the company’s business and finances. We firmly believe that every employee should have insight, input, and influence in the company’s current and future direction. This designation sets us apart from other companies that may claim to be employee-owned but, in reality, have a program with only limited access to stock ownership by a few senior or favored employees; and from ones where the access to stock is only through a 401k plan or a public market. MSI believes in the power of employee ownership and hopes our membership in Certified Employee-Owned® will influence other companies to adopt similar principles. If you’re interested in learning more about our views on ESOP and what it has meant for our company, please visit https://miklos.com/esop/. 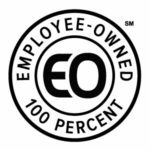 If you’d like more information on the mission and standards of Certified Employee-Owned®, see www.certifiedeo.com.